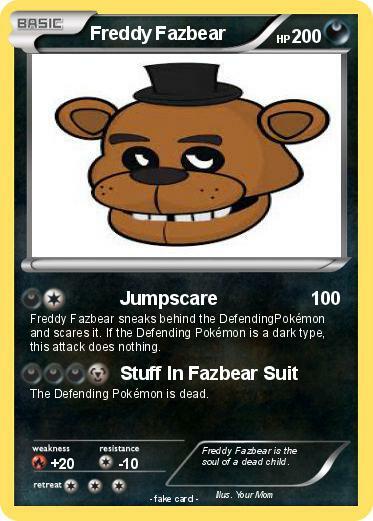 Freddy Fazbear sneaks behind the DefendingPokémon and scares it. If the Defending Pokémon is a dark type, this attack does nothing. The Defending Pokémon is dead. Comments : Freddy Fazbear is the soul of a dead child.